I agree. I enjoy the Gospels the most because they tell the story of Jesus and his mission. I love that you are taking another class. I look forward to sharing faith with you in this special forum. I totally agree, Michael! I love when in a moment of silence and/or reflection I am moved by God to see something differently or am moved to action. Those beautiful whispers are often missed if we do not have our hearts, and minds set upon the Lord. Exactly! It is such a gift to fell reconciled to God and community through the Sacrament. I had a second grader tell me after his first Reconciliation that he got his soul clean. I love that image. I love your connection of our daily lives, holiness and the Sacramental life of the Church. They really all do go together. I was thinking of the people who exude the kind of holiness you described. They all have such a well developed sense of self and great humility. Great sharing! I am so happy that you not only survived your heart attack, but that it has been a source of motivation to get healthy in body, mind and spirit. I agree that when we go through difficult times either personally or with other people we love, it is an opportunity to live out our call to serve and love with grace and dignity. It is so evident that you are committed to the mission of the school and so supportive of the students you teach! Thanks for sharing! I love this post. It baffles me why people don’t participate in the Sacramental life of the Church as often as possible. What a tremendous gift we receive in the Sacraments! God uses the “still, small voice” and not the storm to speak to Elijah. He encourages Elijah to rest, to eat and to take care of himself. Elijah is able to deal with the situation, trust God and return to his ministry. Both of your points are nicely articulated. What would Christianity look like if we stopped arguing over God’s Word and started living it! I really appreciate you insights. You make some very good points in this reflection. As a catechist and a coach you are using those opportunities to be a powerful witness. I, like you, am more comfortable being present to people and showing them a Christ-like love. Keep being you! Your students and athletes have a treasure in you! What a beautiful reflection. You are so right. God does love us, cares for us and takes care of us. I totally relate to your issue with worry. What a gift it is that you turn to Scripture to ease your anxiety. Our journey of faith for some of us is long and winding road. I think the twists, turns and personal challenges help us define the importance of our faith. Thanks you for sharing part of your journey. I for one and glad you are here. I love that you see the Creed as a place to return to, to brush up on the fundamentals. I also love that you see the fundamentals as touch tones. I do not know why I didn’t get a notification that you posted. I am sorry for being tardy in responding. 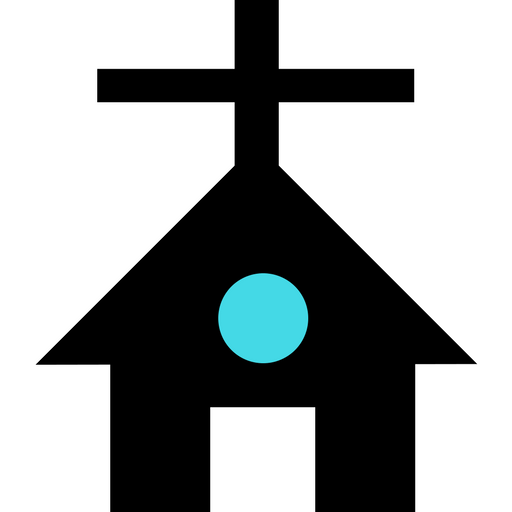 I too have always been drawn tot he four marks of the Church as well. They are short and sweet but boy howdy are they loaded with meaning. Your response it so visually compelling! I see with my mind’s eye the negativity being pulled out of the way so you can be present to the words you are praying. So cool.